Feel like sharing your political views on Facebook isn’t doing any good? According to science, you’re probably right. Social media may be one of the reasons we hear fewer opposing views than we used to. 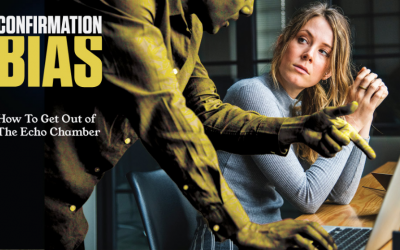 Learn more about confirmation bias and the social media echo chamber in this infographic from Psych Degrees. Deferred Action for Childhood Arrivals (DACA) is one of the most controversial topics in US politics right now. The immigration policy aimed at the children of illegal immigrants has been rescinded by the Trump administration and now no one knows exactly what will happen to them. What should the government do with almost 900,000 illegal immigrants that have come to the US as children and have not lived anywhere else since? Many great rulers have a history of gold. 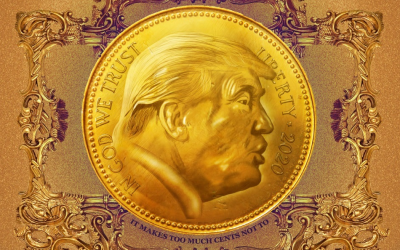 Unfortunately a “federal law” prohibits living persons from being on US coinage.What would it take to put Trump’s face on a gold coin and why should we do that? It’s tougher than you might think, according to this infographic from U.S. Gold Bureau. If you’ve been wondering how this election could have possibly turned out the way it did, the answer might lie in cognitive bias. Learn more about this complicated psychology in the following infographic from PsyD Programs. 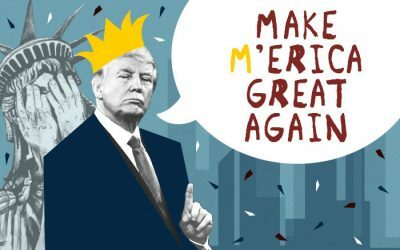 How Trump Will Make America Great Again? Donald Trump will soon be the 45th President of the United States. This has led to a huge amount of controversy and chatter with certain portions of the population who are worried about Trump’s policies and demeanor. 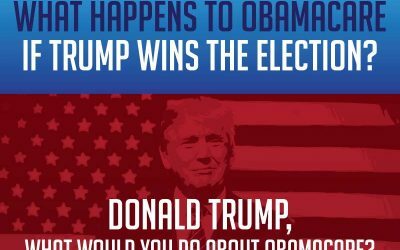 In this opinionated infographic, EvoEssay.com explores what American citizens might expect from the 45th elected president, looking at his previous statements during the election campaign. If there’s one thing that’s as important as a candidate’s stance on the big topics, it’s his or her haircut. 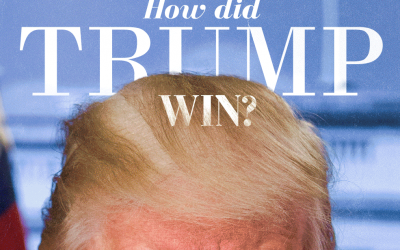 Studies have long shown that people vote as much with their eyes as they do their minds, and a properly tamed mane can go a long way at the ballot box. 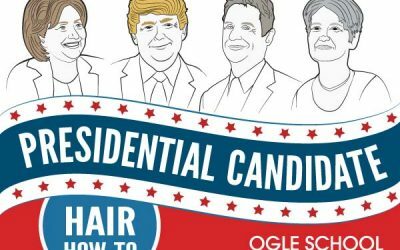 Here is a definitive how-to for achieving the presidential candidates’ hairstyles. What Happens to Obamacare if Trump Wins the Election? As the U.S. Presidential Election nears, candidates are faced with pressing issues that need to be addressed. 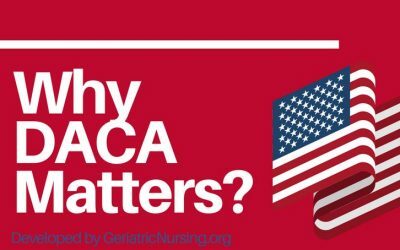 One of the more intriguing topics is how the next administration might treat the Affordable Care Act (ACA) or more commonly known as the Obamacare. For presidential hopeful Donald Trump, this “horror,” as he labels it, should be completely scrapped. But how will repealing it really affect Americans? 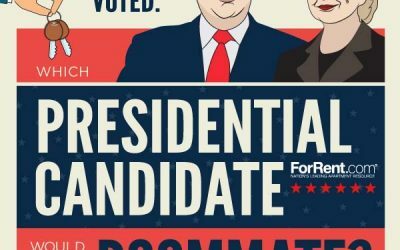 Which Presidential Candidate Would Be a Better Roommate? In this election season, we have gotten to know a great deal about the presidential candidates, probably a lot more than we like to! As can happen with TV characters when we binge-watch a show, the Washington hopefuls can feel like our friends or neighbors or even enemies. But what would happen if we conducted a different kind of election? What if instead of the winner taking up residence in the White House, they would instead come to live with you in your house? The campaign for this year’s 2016 presidential election has so far been neck-to-neck. Whoever wins in November (whether it’s Hillary Clinton or Donald Trump), it’ll likely be surprise. It’s hard to foresee who the elected future president will be. 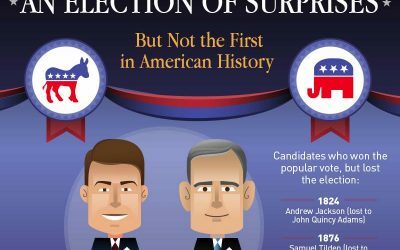 This infographic explores a bunch of historical surprises and amazing revelations. It’s an inside view of some of our former presidents. 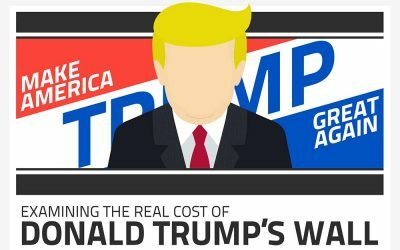 Donald Trump’s Wall – What Might It Really Cost? From the very beginning of Donald trump’s presidential campaign, he has suggested building a wall along the U.S. – Mexico border, of which he would force Mexico itself to pay for. It has been a fundamental element of his campaign, generating a huge amount of support from the Republican electorate. But just how probable is such a wall?